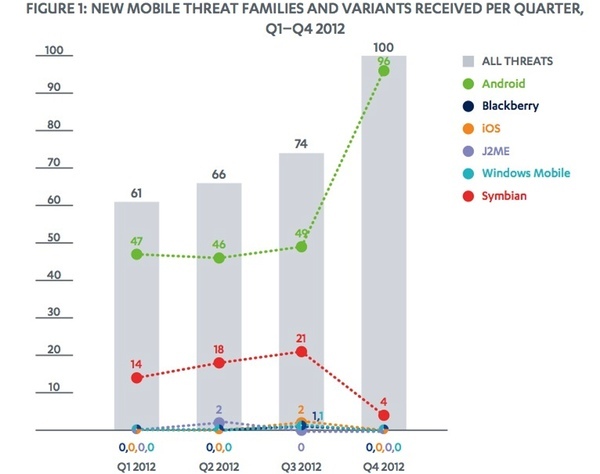 If there is a problem with mobile security, the iPhone, Blackberry and Windows Phone really don’t factor. Symbian? A little, but that platform is going the way of the dodo, anyway. Given how pregnant with disaster Android security is, what else would you expect Apple’s senior vice president to talk about when his company is getting irrationally battered by a bunch of know nothing fools in love with Google and Android? Earlier today, Apple’s top marketing dog, Phil Schiller, tweeted a link accompanied by the words “Be safe out there.” As the malware threat to the iPhone, iPad and iPod touch is essentially zero, what was he on about? Android, which ain’t nothin’ but a black pit of malware malignancy and malaise — something Tapscape has been following for awhile. The latest, freshest way to break into an Android device is, according to German researchers, freezing it. Encrypted contacts, browsing histories and photos — all your bases are belong to science.